A birthday is the anniversary of the birth of a person or an institution and is celebrated in various cultures in different ways. While some mark birthdays with birthday gifts, cakes, a birthday parties, others revel theirs with a ritual – a rite of passage for instance and many other traditional ceremonies. It would not be out of place for one to wonder if birthday celebrations have always been around or something that began to be observed recently. The earliest known reference to the tradition of marking birthdays goes back to about 4000 years ago and it was nothing like what we have currently. Research on the exact origin of birthdays and birthday cakes has remained inconclusive. Hopefully, someone will come up with something conclusively, here is a compilation of historians’ best hypotheses on birthday celebrations and the cakes to hold on to. The early explanations about birthdays revolve around worshipping gods. It started in ancient Egypt when the coronation date of a Pharoah was a pretty big deal. It was believed that on their coronation day, Pharaohs were transformed from human to gods. Egyptologist Dr James Hoffmeier believes that the reference to Pharoah’s birthday in the Bible was actually a reference to Pharoah’s coronation or “birth” as a god. Another part of the birthday tradition can be traced to the Greeks. Artemis, the goddess of the hunt and the moon, the daughter of Zeus and twin sister of Apollo was honoured by the Greeks who would bake round or moon-shaped honey cakes in an offering. The Greeks adorned these cakes with lit candles to help them resemble the glow of the full moon. There also existed a belief in some ancient cultures that smoke could help carry prayers up to the gods. The Romans seem to be the first known people to use cakes to celebrate the birthdays of humans. They would bake cakes with wheat flour, olive oil, honey, and grated cheese to honour the birthdays of friends and family. The more modern kid’s birthday cakes began with the German Kinderfest in the late 18th century. Children’s cakes were decorated with candles for each year the child had been alive and an extra one as a wish that the child would live another year. It was also the German’s that had children blowing out candles and making a wish. In the 17th century, birthday cakes were said to be made more elaborate with details like icing, layers and decorations, like flowers. Unfortunately, these kinds of cakes were only affordable by the wealthy, upper class due to the high-priced ingredients. The 18th century was different, as food and baking utensils became more accessible, cakes became more affordable. The earliest known use of the phrase birthday cake listed in the Oxford Dictionary was in 1785. Today, birthdays are celebrated with cake, lit candles and a birthday song. 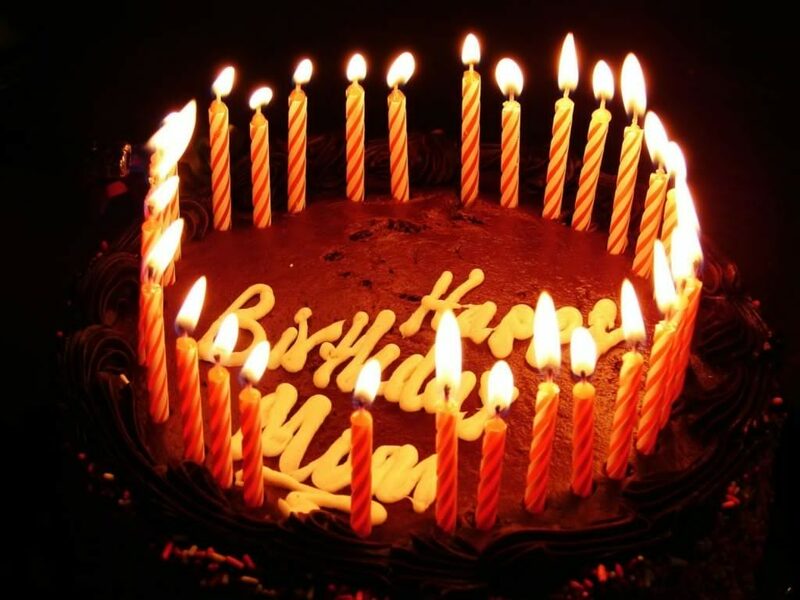 It is believed that the number of candles on the cake usually represents the age of the person being celebrated. The silent wish made before while blowing out all the candles with one breath must not be told to anyone else, or it will not come true. The birthday card was first seen in 1902. Patty Hill and Mildred J. Hill’s 1893 song titled Good Morning To All which was intended to be sung by students before classes began. The song eventually caught on across America, giving rise to a number of variations. Robert Coleman eventually published a songbook in 1924, adding a few extra lyrics that would quickly come to overshadow the original lines. The new rendition became the version we now all know, Happy Birthday To You. Until the Registration Act of 1836, dates of birth were not routinely recorded in the UK, though parish records usually listed baptismal dates. In many East Asian countries, the day a person is born is considered to be its first birthday. The second birthday occurs at the age of one. The least common birthday date in both the UK and USA (apart from February 29) is December 25. A Golden birthday is when your age and date of birth are the same. Hope you didn’t miss yours! Typically, those who were born in a leap year (February 29) usually celebrate their birthdays on the 1st of March every other non-leap year.